Response from Charles Tyrwhitt: At Charles Tyrwhitt, we appreciate that some products may not be suited to everyone. 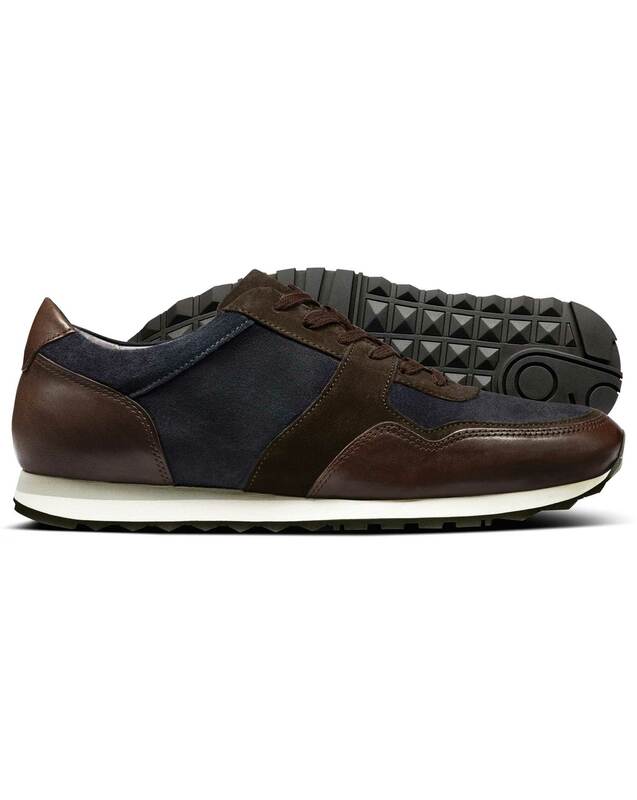 I am sorry that the Navy and brown trainer was not to your taste. We'd love for you to be happy with every item purchased from us, so you are of course more than welcome to exchange these trainers for something more suited to you. High quality. Very happy with my purchase. Will be back again soon. Good design and comfortable ruined by a loud squeak on both shoes. Response from Charles Tyrwhitt: Thank you for your feedback. We are sorry that you had to return your Navy and brown sneakers to us as both shoes were squeaking. This is not the quality we expect from this product and so please be assured that your feedback has been passed through to our Product Improvement Team. A parcel can be returned to us using the Hermes online returns process, which is a small fee of £2.80, no matter the size and weight of the parcel. For the inconvenience caused, however, we would like to offer you free postage on your next order with us. Simply get in touch with our 24/7 Customer Service Team to have this applied.